Another year, another iPhone release. With the iPhone 6 release reportedly set for September 9, TechRadar has already said the new smartphone could be one of the most pivotal devices in Apple's history. 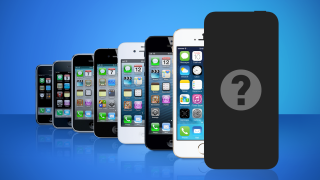 The iPhones 5S and 5C were arguably simple, superficial updates over the iPhone 5. However, with an entirely new operating system (iOS 8) and rumored design revision, users should expect a major change with the iPhone 6. With business users increasingly adopting the iPhone, there are several changes to expect with the updated device. Bigger is better: The iPhone 6 is expected to be the biggest iPhone manufactured to date. According to several media outlets, there will be two available sizes: 4.7 inches and a 5.5-inch "phablet" style phone. The 4.7-inch model will put it in direct competition with competitors such as the Samsung Galaxy S5 and HTC One M8. What this means for business users: More work can be accomplished on the phone, on the go. Perhaps the larger 5.5-inch iPhone will replace business tablets. Custom keyboards: Ask Android-turned-iPhone users about their complaints about their switch and you are almost guaranteed to hear grievances about the keyboard. However, Apple will allow users the ability to use third party keyboards with iOS 8. One of the keyboards Android users are likely most excited about is Swype, which gives users the ability to use simple gestures on the touch screen as opposed to the standard typo-ridden iPhone keyboard. What this means for business users: More accurate typing. The pesky "Sent from an iPhone. Please excuse typos." warning may become a warning of the past. Say (megapixel) cheese: At 8 megapixels, the iPhone camera has generally been regarded as pretty stellar. However, with an increasingly competitive smartphone market, the iPhone 6 is rumored to step up its camera to 13 mexapixels. What this means for business users: More megapixels means higher photo resolution. Expect the iPhone 6 camera to increasingly replace the standard digital camera. More memory: Earlier in August, the Chinese Apple repair firm GeekBar shared documents that claimed it included hardware schematics for the iPhone 6. According to GeekBar, the iPhone 6 may be available in a 128GB internal memory option, in addition to offering 16GB and 64GB memory options. Interestingly, the documents do not indicate a 32GB storage option, despite that usually being a standard Apple plan. What this means for business users: With a significantly large storage plan at 128GB, the iPhone 6 will be especially suitable for businesses that require access to files in and out of the office. Need for speed: The iPhone 6 is also rumored to undergo an upgrade in processor speed. The phone could include a new A8 chip that will boast frequencies of 2.0 GHz or more. Compare that to the iPhone 5S which only has a 1.3 Ghz A7 processor. What this means for business users: If this processor upgrade rumor is true, users should expect a significant improvement in operating speed. For business users especially, this is favorable news and will help Apple against fast processing Android and Windows phones. What did TechRadar think of the iPhone 5S?